I’ll repeat what I’ve written in years past, because it remains true: NPR (formerly National Public Radio) is an American national treasure, one that has somehow survived as a non-profit national radio and on-line broadcaster (with 900 public radio station members) despite largely weaning itself from governmental support and being the target of repeated political attacks by the American right wing. According to Alexa, its online site is the 148th most popular of all U.S.-based web sites and the 568th most popular in the world. 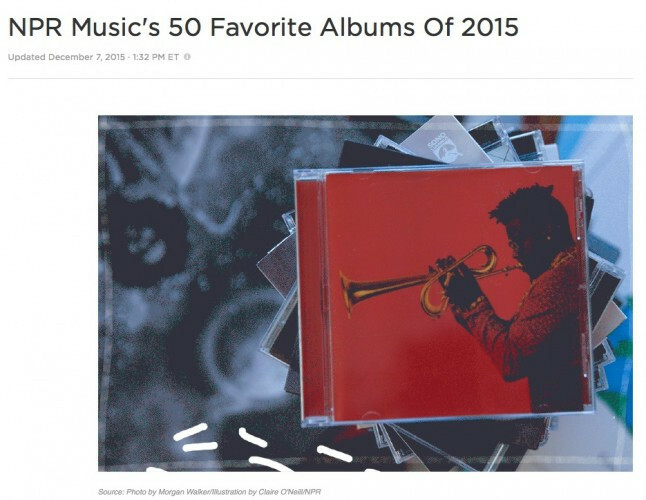 Today NPR Music posted a list of its 50 favorite albums of 2015. It’s a cross-genre list, reflecting the broad demographic of NPR Music listeners. I’ve siphoned off the metal albums from the overall list and am presenting them after the jump. Okay, I was joking. There are not metal albums on the list, just the one. It’s a really good album, mind you, but… well… I guess this did save me the work of having to figure out alphabetical order. Though I listen to almost no music any more other than metal (NCS is a harsh mistress), I have noticed quite a few not-metal names that are appearing everywhere. The only one of those I’ve actually listened to is the latest album by Jason Isbell named Something More Than Free, because I already knew he was an amazing lyricist and songwriter and because I still have a soft spot for country music from my youth. I guess there might be some other good non-metal albums out there that I don’t know about. Three posts about crappy music lists in one day, and it leads to this country music video. Your mind has been warped and now I have to go to the liquor store to obtain the ingredients for unwarping mine. Seriously though, I think I told you this before, but some time when you are back in Austin, if you have time and he is playing, which most weeks they are, check out the Cornell Hurd Band. They play older country-swing-style music, and I think Cornell’s banter is amusing. I’m about 50/50 sure I’ll be headed to Austin in January and I’ve written down the Cornell Hurd name so I won’t forget. I could use a drink, too. You think it’s hard reading these posts, it was pretty damned hard reading the lists and writing them. I fear for the youth of our country. Coincidentally, I just spent most of today assembling LPs for that Colleen record that’s featured on the list. Perhaps I should give it a listen. Given Kim Kelly’s involvement with NPR, I’m pretty disappointed metal was washed-out of their top 50. I have to say this Jason Isbel song is beautiful. Just checked some other of his songs and they are equally good. Glad you liked the Jason Isbell song. What turned me onto him was listening to a friend play “Live Oak” around a fire on a summer night after a party. That’s an amazing song too, from his previous album “Southeastern” (2013).